« 3 fun-filled competitions this weekend! Please take note, we’ve reverted to the old schedule during registration. 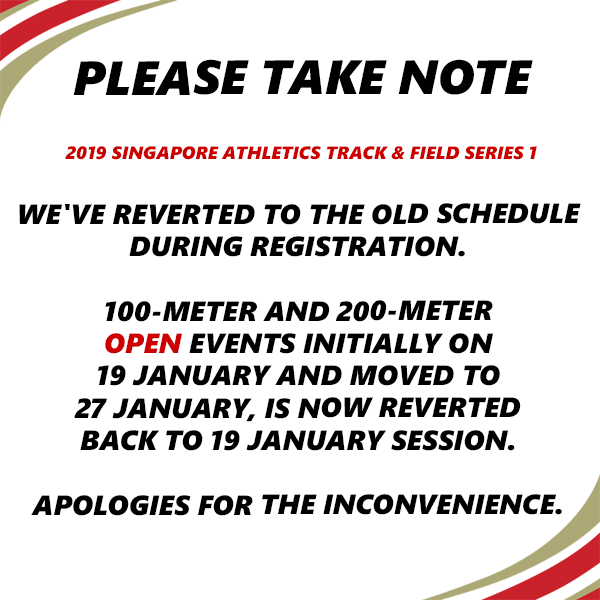 100-meter and 200-meter OPEN events initially on 19 January and moved to 27 January, is now reverted back to 19 January session. Apologies for the inconvenience.